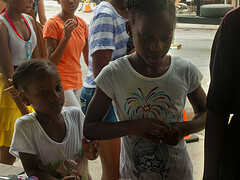 Kids Day, brought to you by About Time, CHCA & FAM, is an annual event that takes place in Crown Heights Brooklyn. One stretch of Franklin Avenue from Sterling Place to Park Place is converted into a carnival for a day with games, rides, prizes and more. And best of all IT’S COMPLETELY FREE!!! Last year was a huge success, and this year we want to top that! Donations of any and all sizes are greatly appreciated. Kids Day is an important event that brings our community together and we hope everyone can make it out on July 21st to take part in this amazing fun filled day! Please help us get the word out about our classes. Read full class descriptions on the Art Not Arrests website. The violence interrupter program is the model on which S.O.S. Crown Heights is based. Alan James, S.O.S.’s manager will introduce the film and talk about the success of violence interruption in our community. The Interrupters is an award wining documentary about three Violence Interrupters who try to protect their Chicago communities from the violence they once employed. From acclaimed director Steve James and bestselling author Alex Kotlowitz, this film is an unusually intimate journey into the stubborn, persistence of violence in our cities. Started in 2008, by Kevin Phillip of About Time Boutique (and The Candy Rush), Kids Day on Franklin Avenue is a fun filled day of laughter and fun, rides and games, cotton candy and prizes for the kids in our community, AND IT’S ALL FREE!!! But, it does take money and a lot of hard work to pull it off. Fundraising and volunteers on the day of the event. Franklin Avenue Merchants do their part in contributing to the event but a bulk of the money is raised through bake sales on Franklin Avenue run by the kids themselves. Will you commit to baking for the sale? Will you commit to a Saturday morning with the kids on Franklin Avenue monitoring the bake sale? Will you commit to volunteering at the event? And PLEASE support this incredible community event by buying from the bakes sale, Remember ALL money raised goes directly to the KIDS DAY, the rides, the food, the games & the prizes!!! 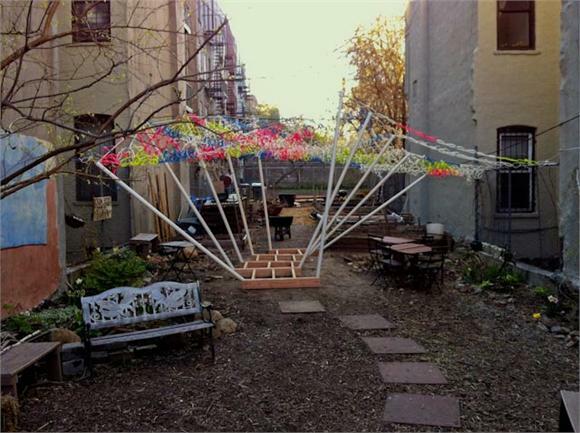 The Art Not Arrests (ANA) structure in our garden is looking gorgeous and now we want to start planning for the next portion of the project: creating free summer arts programming for youth in our community. There are 4 ways you can help us. The Art Not Arrests’sponsorship displays are currently located within many of the local businesses along Franklin Ave -Please help Ground Up Designers and the Crow Hill Community Association raise money for the Art Not Arrests summer art program, by personally sponsoring one of the zip-cuffs used in the installation. If you make the suggested $3 sponsorship donation, you are welcomed to leave your name in (or written directly on) the donation box to have a piece of the installation added with your name on it. If you would rather, you are also welcome to visit the garden to choose a zip-cuff and sign your name on it personally. Some of the donation boxes may not be immediately visible due to space constraints — If you don’t see the donation box, please ask the person at the counter how you can make a donation & leave your name. They will happily point you in the right direction. 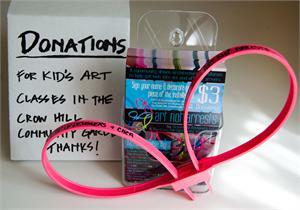 100% of the money raised through these donations will go toward the Art Not Arrests summer art classes, hosted in the Crow Hill Community Garden, by the Crow Hill Community Association. Any money raised above and beyond what is required by the CHCA to host the summer art classes will be used toward individual scholarships for selected students – allowing them to continue their art education after the summer classes are over. Any additional funding will be donated to other arts related anti-violence initiatives in Crown Heights Brooklyn. Calling all artists, musicians, writers, crafters, anyone who would like to teach a class in the CHCA garden this summer to the youth in our community. if you have an idea for a class you would like to teach we want to hear from you. Once we have a class schedule, we will need to sign kids up.If you are a parent in the community please contact us with ways we can reach out: we need contacts at schools, daycares, after school groups, etc. Can you commit some time to help make this project a success? We need a couple of people who will have time this spring/summer to help us make this project as good as it can be. ART NOT ARRESTS CONSTRUCTION & PROJECT LAUNCH! RAIN DATE!!! Help Ground Up Designers build the framework for the Art Not Arrests project. 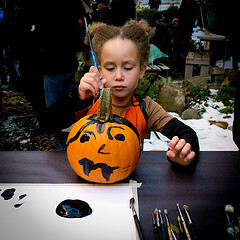 This event will satisfy all urges to get dirty, use power tools, and play outside. We’ll be there both Saturday and Sunday, come help out if you can! Food and beverages will be served. Zip-cuffs will be availible to be decorated and added to the installation at the event. Come help Lana & Kristen clean up the garden, level out the ground, and get the site ready for construction the following weekend. It’ll be fun! For 8 weeks, residents of Crown Heights, Brooklyn have used theater to engage in dialogue about what it means to be safe. They have raised questions about community, race, class, gentrification, power, police, diversity, and change. In this interactive public sharing of the project, the group members will perform pieces of theater and engage the audience in a continued dialogue about these questions. RSVP or questions to safeinthisplace@gmail.com or 347-762-9439.